For those that think the Audi A8L W12 isn't luxurious enough, the German automaker debuted a limited edition model here in Frankfurt dubbed the "Exclusive Concept." The A8 follows the R8 and Q7 as models available under the Exclusive label. Unlike the R8 program that allows buyers to customize their interior, Audi has already made the choice for you with the A8L W12. The car features a unique interior with Cognac-colored Poltrona Frau leather and inlays made from olive ash. Leather covers nearly every inch of the car including the dashboard, center console, and door trims. Even the car key is made from high quality cow hide. 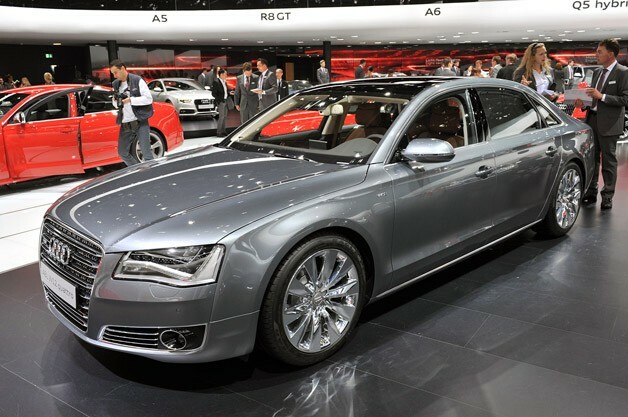 Audi says that it plans on producing the A8 L W12 Exclusive, although just fifty examples are slated to be built.